If you are a long time reader of my blog you may remember that we are a game loving family. 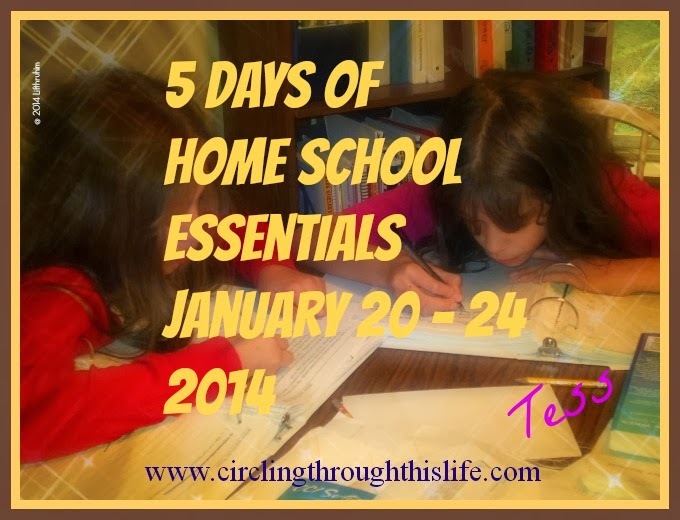 We play games just for fun as part of our family holiday traditions but I also like incorporating games into our home school. Learning math facts can be boring. Math drill can be boring. It doesn't have to be that way! 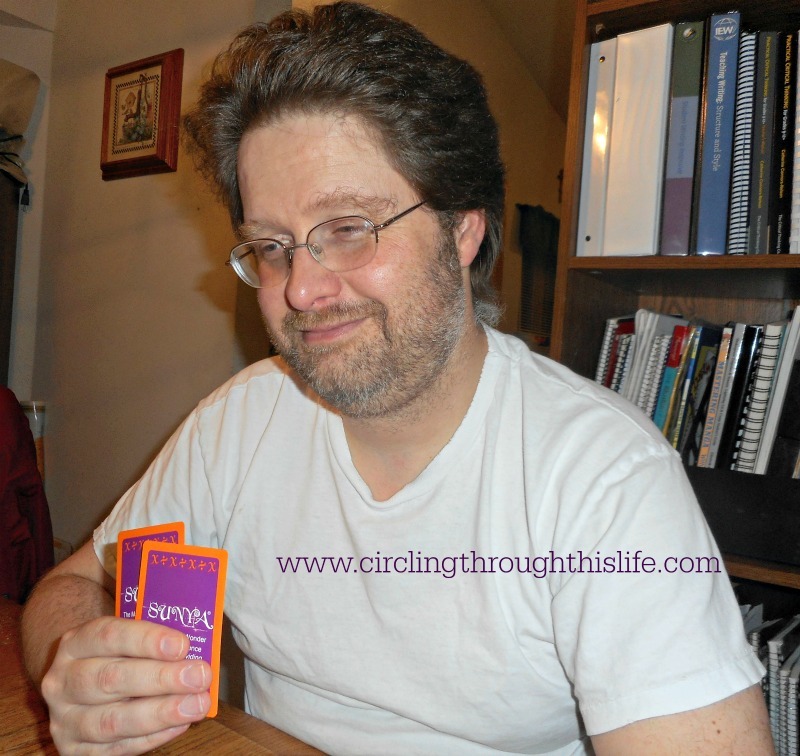 Sunya Publishing has two games that make mastering your facts fun. Members of the Schoolhouse Review crew were sent their choice of Sunya - The Magic and Wonder of Math and Science Adding & Subtracting or Sunya - The Magic and Wonder of Math and Science Multiplying & Dividing. As a crew leader, I received both games. Both games state they are for 1-5 players. The games come with a Teacher/Parent guidebook, two decks of cards and a special number line. One deck contains 55 number cards, 2 wild cards and 3 operation cards (e.g. + - = ) and the other contains 30 Riddle cards. The basic premise of the game is to build number sentences using cards from your hand alone or combined with cards already in play. 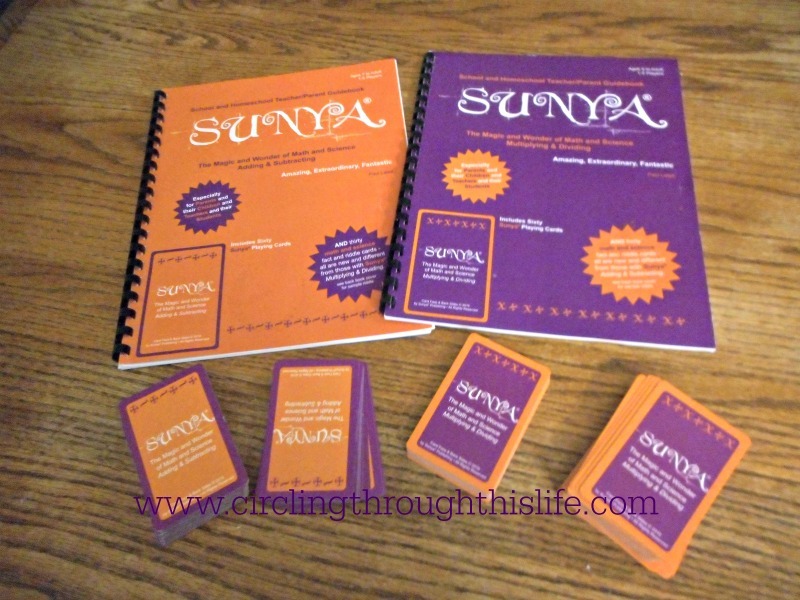 The first person to "go out" shouts "Sunya" and wins the game. After shouting "Sunya" the winner takes a Riddle Card. The dealer deals four cards to each player and sets up a basic number sentence such as 3 + 2 = 5. 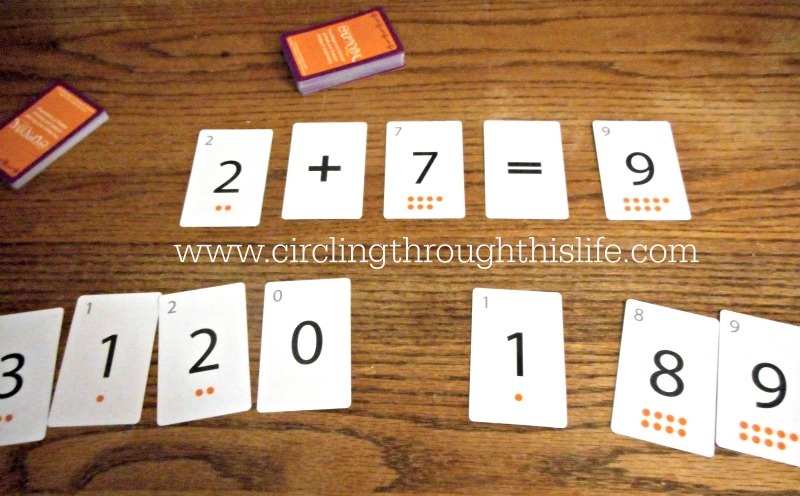 Players take turns trying to get rid of their cards by playing them on the number sentence. The instructions for the game are very wordy and sometimes confusing. However, playing the game and referring to the guidebook when needed worked just fine for my family and we were able to start playing quickly. Sunya is a Sanskrit word that means empty or void of any quanity. Sanskrit is the ancient and classical language of India. Our modern number system was invented by the Hindus in India 1500 years ago and accepted in the Arab world. It was introduced to the West as the Hindu Arabic Numeral System. I found it fascinating that there is a connection between the word 'sunya' and our word for 'without quanity', zero. Sunya was translated as 'sifr' which then became 'zephirum' which is the Latin name for the symbol 0. That symbol means "the absence of any quantity." We get our word 'zero' from the Latin 'zephirum'. It's not a direct connection to the word 'sunya' but it is a link! For both games I recommend starting with the basic game and and omit the 0 & 1 Rule. Mr. Latell states that "this rule may be waived when playing with young children just learning addition and subtraction." I think that omitting the rule for those who are new to the game and adding it in after everyone knows and understands the basic game keeps the game fun and low key. Having played with the rule and waiving the rule, I think it is more fun with the rule. Supergirl loves the game. We've been playing the Adding game because she's not yet ready to play the Subtracting one. She often needs to refer to the line for help. Rather than hold our cards in our hands we lay them out on the table as suggested and we help each other create the number sentences. Turtlegirl and I have played as well but we've played Multiplying as well as Adding. We played just for fun and fellowship. I think her favorite part was the riddle card. We even had Dad involved at one point! I started playing The Adding game as a form of solitaire in the evenings when I'm trying to earn more swagbucks. I enjoy the challenge of trying to create number sentences. It's become almost addictive. I tried it with the Multiplication version but I prefer the Addition for my solitaire playing. If you like card games, then you will enjoy these games. I have decided that it is a fun way to reinforce learning math facts with Supergirl but Turtlegirl and I really enjoyed playing it on our mother/daughter date. We were playing just for the fun of it. It reminds me a tiny bit of Crazy 8s and other similar card games where you need to match the card in the discard and the object is to get rid of all the cards in your hand, but I like this better because it develops thinking skills and for students solidifying their math facts it provides a fun way to practice. We'll be making this a regular part of our math game rotations with Supergirl. I also plan on continuing to play it as an alternative solitaire. More than Just Music Appreciation!